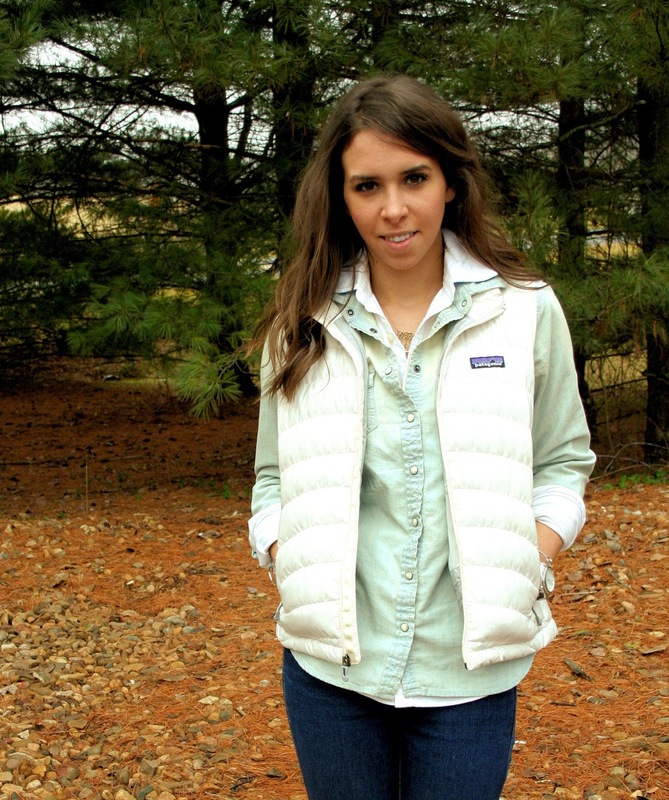 Since I have yet to find the fur vest of my dreams, I have to stick with this Patagonia down puffer vest. Darn. But it's warm and cozy and has big enough pockets for my glove-less hands (I lose all my gloves) warm. With the layering of the oxford and chambray I don't have to lug around a giant coat when I'm running errands. 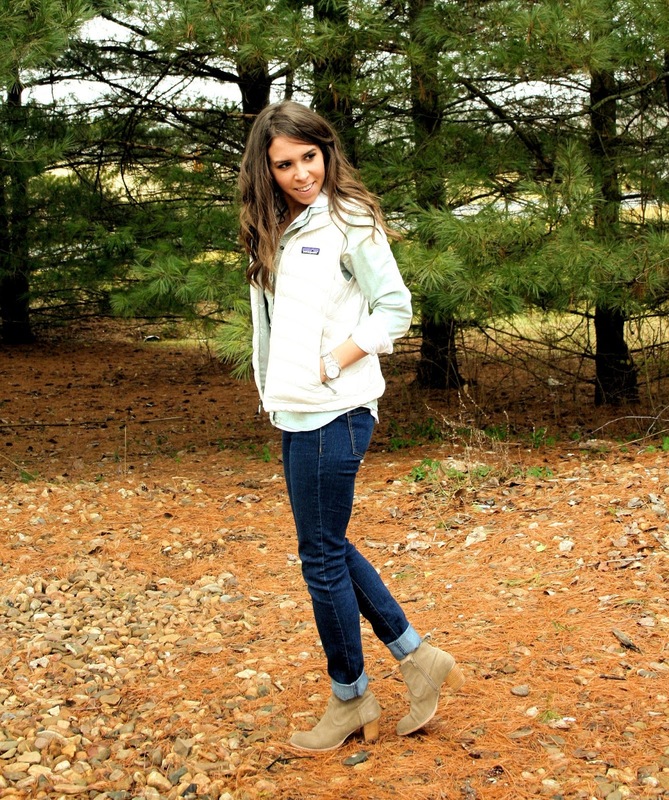 A perfect casual slightly warm outfit for this chilly weather! And these are probably my most comfortable shoes ever. 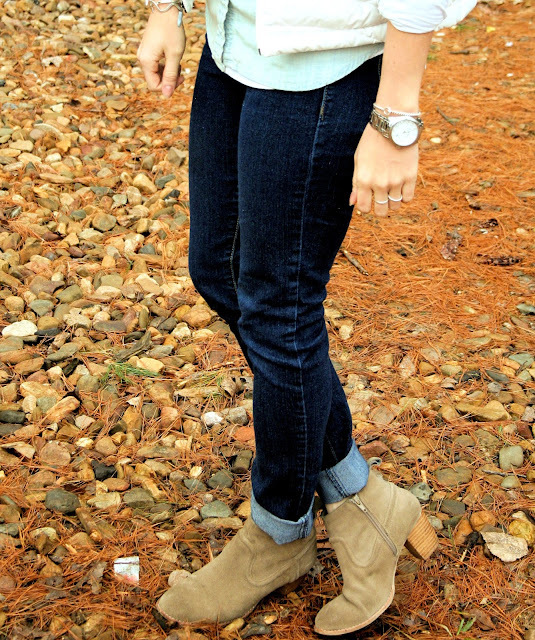 I wear them almost everyday and super suggest a casual & comfy pair of booties that will go with anything. like what i'm wearing? shop my look below! 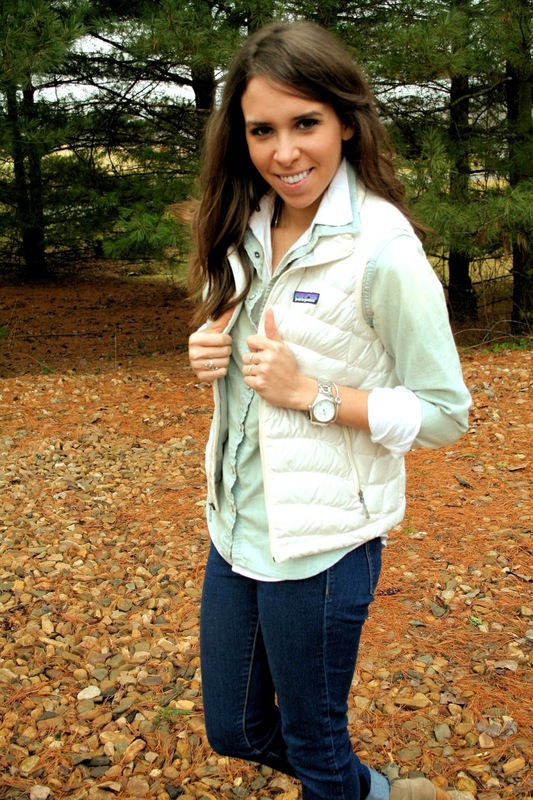 Totally love this look, and I've never been a big fan of puffer vests or coats. But I actually really like this one.